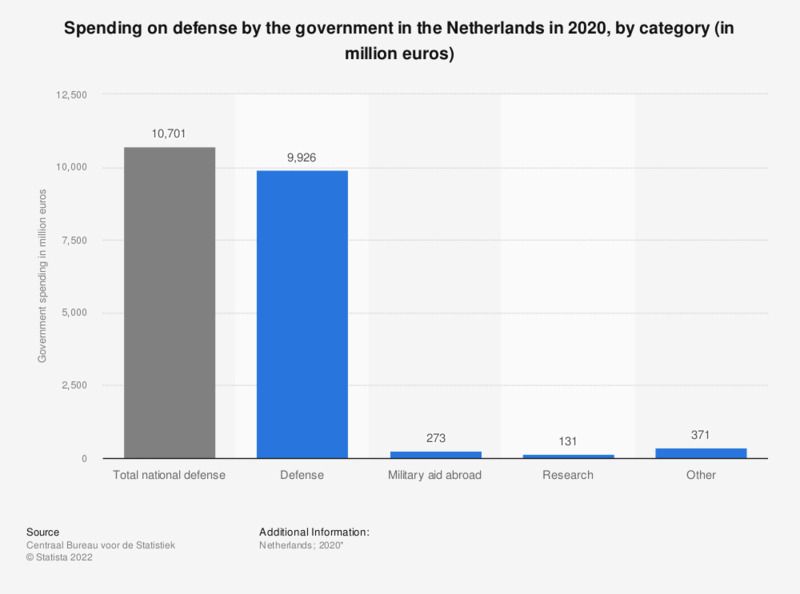 This statistic displays the spending on defense by the government in the Netherlands in 2017 (in million euros). It shows that in 2017, approximately 300 million euros was spent on military aid abroad. * All figures for 2017 are provisional.